What Moogly Made This Holiday! During the year I get to admire and recommend patterns from lots of amazing designers. But with blogging and designing my own patterns, I very rarely get a chance to actually make them myself. 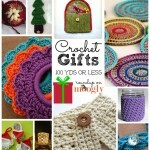 Holiday gifting is where I get to make an exception – and here’s a few of the things I’ve made this year! 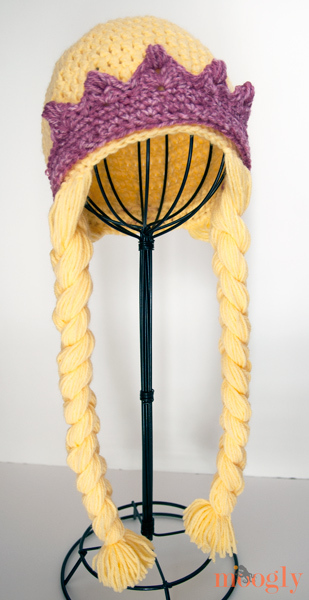 Princess Hat with Braids and Crown, by Corina Gray on Stitch11: I made two of these, and they were so fun! I was upsizing for bigger girls, so I went with a larger beanie to start, but the rest was just perfect. 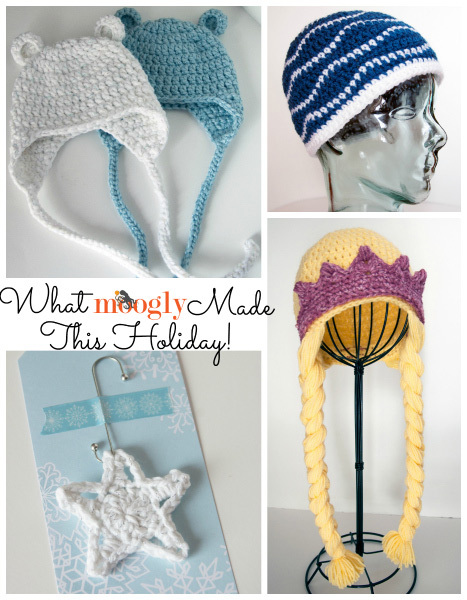 One tip if you make this – don’t try to count out 108 pieces of yarn for the braids! Just cut a “handful” and then add them as directed. Much simpler and faster! I used Lion Brand Pound of Love (held doubled) for the hair/beanie, and Lion Brand Vanna’s Choice for the crown. Brain Waves Beanie, by Liz McQueen of Playin’ Hooky Designs, on Ravelry: I’ve been watching this hat stay popular on Ravelry for the past year, and I finally got a chance to make one! Super easy and fast – and perfect for the men/boys. I used Lion Brand Vanna’s Choice to make this one. 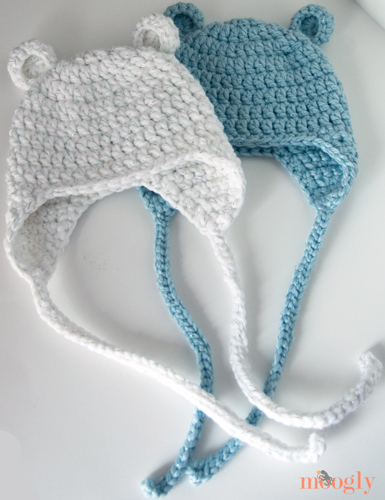 Crochet Polar Bear Hat, by Sarah Zimmerman, on Repeat Crafter Me: My new twin niece and nephew are going to look so super cute in these! I made the ears, but not the nose and eyes – I like it both ways but ultimately this was more my own style I guess. Hope it’s their’s too! I used Lion Brand Thick & Quick – love that sparkle! 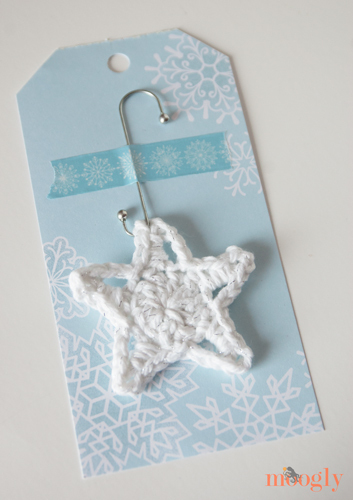 And I have to share the great way I found to give the Glittery Crochet Stars in 2 Rounds! The Martha Stewart Crafts Holiday Tag Pad and matching PaperTape. Add some hooks I found at my local Target and voila! 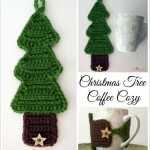 The tags are nice thick cardstock, perfect for adding to the top of a gift or slipping into a holiday card. Hope you’ve enjoyed this little peek at what’s under my tree! Hope you all have a great holiday season! 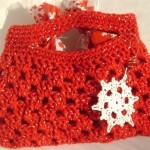 There’s still time to craft: Glitzy Boutique Bags and Lovely Snowflakes! 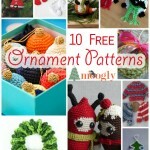 Handmade Holidays with 10 *More* Free Crochet Ornaments! Any way to translate these into knit? You’d have to ask the designers! 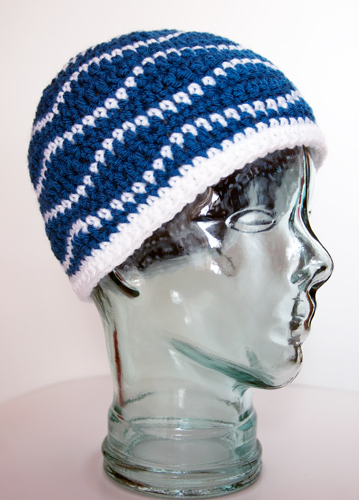 Though the princess hat would be easy enough – just a beanie and brads – and then find a crown pattern! Like this… I wanna try polar bear….